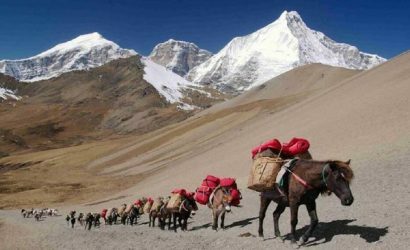 Traveling to the Bhutan From Nepal with Eagle Eye Treks and Expedition is the very easiest. After feelings the Himalays Beauty your next trip to the tiger’s nest will be your memorial journey of your life.This Bhutan tour will take you to the most popular tourist destinations in the country including Thimphu, Bhutan’s capital, Punakha, Bhutan’s old capital, and Wangdue and Paro, Bhutan’s only international airport. 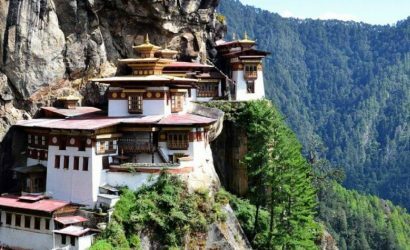 Also included is an easy hike to the Taktsang monastery which is a charm to visit regardless of the time of the year. Your much awaited Bhutan tour experience commences the moment you enter the air space around the Himalayan mountain range near Bhutan. You will be instantly struck by the beauty and splendor of the 360 degree view around you as you watch from your Druk Airline airplane window. The Antediluvian Jumolhari &J ichu Drake peaks are a visual feast in themselves. Moments before you land, the beautiful Paro valley will gently glide into your line of sight. Be sure to look for it and take in the once-in-a-lifetime views. As soon as you land at the Paro International Airport, you will be cordially received by an English-speaking tour guide from EETE Bhutan Representative, who will be your personal tour host and facilitator throughout your stay in the country. Once you complete the customs and immigration procedures, you will be driven in a private car to your well-appointed hotel. Relax at the hotel and unwind from your long journey for a little while. After a lavish lunch featuring Bhutanese and continental cuisine, your tour guide will drive you to Paro Dzong. The monument was built in 1646 AD and is today the seat of the Bhutan Government. The monastery, by the way, is fully functional and is a classic example of a traditional abode in which "the church and the state" co-exist in harmony. Feel free to take lots of pictures as evidence! Your second stop for the day is the Bhutan National Museum. Enjoy a rare collection of Bhutanese art, crafts, paintings and sculptures from a by-gone era carefully preserved for posterity. The museum is especially famous for the amazing range of colors and shades used in the fabrics on display many of which probably don't even have a name. After a quick stop at KichuLhakhang, Bhutan's oldest temple, you will return to your hotel for a quiet evening to do things as you please. Dinner will be served as soon as you are ready and we recommend that you tuck in early since you have a packed schedule ahead. 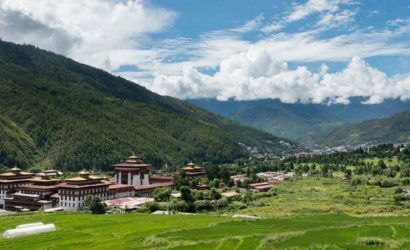 The next day, after a sumptuous breakfast of Bhutan's choicest breakfast delicacies plus the traditional continental fare, you will be driven to Thimphu to visit the King's Memorial. Thimphu is about 30 minutes away from Paro and the drive is indeed scenic. The King's Memorial was built in memory of the third king of Bhutan who reigned for three decades from 1952-1972. After paying your tribute to the king, you will be escorted to see the Changankha monastery, the Radio Tower which is one of Bhutan's tallest buildings, and the Zoological Garden, where you can easily spot the national animal of Bhutan- the takin. After an enjoyable session at the zoo, you will visit the Nunnery Temple, the National Library of Bhutan which houses some of the world's most rare and ancient religious manuscripts and the Bhutan School of Arts & Crafts which is also called the Painting School. For art lovers, the visit to the Painting School is a treat and you are welcome to meet with the students and faculty since you share a common canvas. Let us know in advance and we will formally arrange a guided tour for you. After lunch, your tour guide will take you and the other members of your group to the National Institute of Traditional Medicine. Medicinal herbs, which grow in the region, & minerals that are found in the kingdom, are scientifically processed and administered to patients by qualified traditional pharmacists and doctors who have been trained in the science of natural and alternate medicine. This unique healing method is popular among Bhutanese people as well as foreigners. Your tour guide will gladly schedule a consultation for you if you wish. Bhutan also has several modern state-of-the-art allopathic hospitals many of which provide world-class services. You will next visit the Trashicho Dzong also known as the Fortress of the Glorious Religion. Initially built in 1641 AD and later remodeled by King Jigme Dorji Wangchuk in 1965, the Dzong is the home of the main secretariat of the Government. The throne of His Majesty, the King of Bhutan, is situated here. The Jungshi Handmade Paper Factory is your next stop. Come and see how Bhutan protects its environment through long-term sustainability. You are all set to depart after breakfast. The Bhutan Textile Museum and the Folk Heritage museum are your first two stops. Learn first-hand about Bhutan's rich cultural traditions, its deeply rooted heritage which spans thousands of years and the Bhutanese way of life. You will also visit the Handicrafts Emporium where you can purchase exquisite hand-woven fabric in a million colors and decorations for your living room. Are you a stamp collector by any chance? We won't call you a philatelist because that sounds way too esoteric. Surprising as it may sound, Bhutan has a rather rich tradition of postage stamps which dates back several hundred years. You can purchase rare postage stamps in any one of several shops in this area around the two museums. Bhutan also happens to be a picture postcard collector's paradise. If you need to change money, the Bhutan National Bank is right next door. 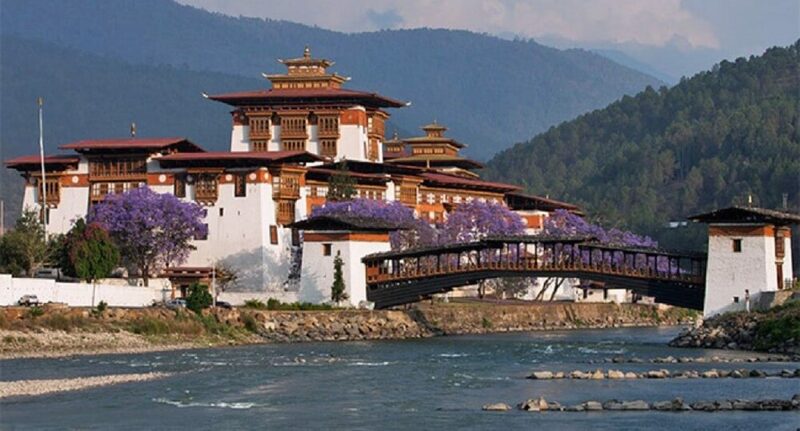 The Simtokha Dzong is your next stop. Simtokha Dzong is the oldest and the most secure fortress in Bhutan. It offers you an amazing backdrop to take pictures. Enjoy a full-course dinner and some little "me" time in the evening. Feel free to go out on your own since Bhutan is a very safe country for everyone including tourists. Your Glance at Bhutan package continues as you leave for Punakha after breakfast. You will go through the Dochula Pass which is an experience in itself. Situated high among the mountains, the pass is the primary conduit that connects the two points. Your first destination of the day, the 108 Bhutanese Stupas, are revered by the people of the land as an emblem of religious sanctity. Notice their architectural beauty and the manner in which they have weathered the four seasons over the years. If the weather decides to cooperate, you can admire the glory of the snow-capped Himalayan Ranges from this vantage point. 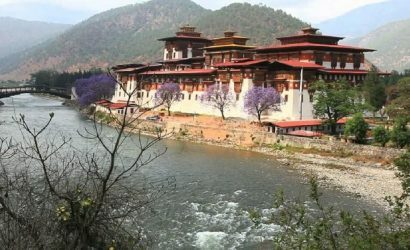 After the stupas, you will drive to Punakha to visit the Punakha Dzong. It is situated near two rivers-- the Pho Chu (Male River) and Mo Chu (Female River.) Asia has a rich tradition of river personification. Punakha Dzong is one of the largest Dzongs in Bhutan. Take the suspension bridge to arrive at the Dzong. Punakha Dzong was initially called Druk Pungthang or Dechen Phodrang (Palace of Great Happiness), for many years until the second king of Bhutan assumed power. Punakha Dzong happened to be the seat of the Government for a long time. We will next take your tour group and you on a short evening hike to Chimi Lhakhang, one of Bhutan's most famous monasteries. It was built by Lama Drukpa Kuenley in 15th century AD. It is dedicated to Drukpa Kinley who is also known as the Divine Madman. The spiritual leader inherited the accolade since he revolted against the principles of orthodox Buddhism. You will return to your hotel in the evening well in time for a quick session of R&R plus a little dose of leisure. Dinner will also await you at the hotel. Your fun-filled days of Bhutan travel aren't over yet and your Bhutan tour is all set to resume in the morning. After a quick early morning departure, a short drive to Wangdue takes you to the Wangdue Dzong. It was founded by Zhandrung in 1639 AD and is located on a hill which overlooks the valley. The view leaves nothing to be desired. Folk lore has it that Bhutan's protective deity, Yeshey Gonpo told Zhabdrug Rimpoche that if he would construct a dzong on this remote ridge, he would be able to rule the nation. The word "Wangdue" means "to bring under one's power"
You will have lunch at Thimphu and then drive to Paro. Use the couple of extra hours to rest or to wander around the town at your own pace. Meet the friendly shop owners many of whom speak English and trade stories with them. This is the perfect time to shop for gifts and haggle for the right price. You will have plenty of good time left over in the evening for dinner and leisure. Your call of the day after a sumptuous breakfast is the Taktsang monastery. It can be called "the Tiger's Lair" when translated. The short trek to the monastery passes through a dense pine forest. You can hear the insects chirp as you pass along the clearly marked and maintained pathway. You will stop at a traditional Bhutanese cafeteria for rest and refreshments royal Bhutanese style. You will then continue the hike till you arrive at the ruins of the ancient Taktsang monastery. This abode of traditional Buddhist religious prayer and worship was built in the 17th century AD. It literally hangs from the edge of a sheer rock cliff that plunges 900 meters into the valley below. According to a legend, Guru Padmasambhava, the Tantric mystic who brought Buddhism to Bhutan, came to Bhutan from India flying on a tiger. You will have Lunch and refreshments at the cafeteria. Take in the amazing views of Bhutan's majestic peaks and valleys as you enjoy your meal. The hike may be quite a challenge for the uninitiated and your tour guide can arrange for a pony for you at a nominal expense. The pony ride is very safe and an experience in itself. Like all good things, your Glance at Bhutan tourwill come to an end. We will be sad to see you go but we know you will come back again because Bhutan has more to offer to you. And hopefully, you will bring your family and a few associates with you the next time you arrive. We will standing by to assist you with your hotel check-out and departure formalities. Have a safe trip back home.